The hunger strike by PMOI members at Liberty that started on September 1 after the massacre and mass execution at Ashraf and kidnapping 7 residents by Iraqi forces enters its seventh week. Simultaneously, Iranians in Geneva, London, Berlin, Ottawa, and Melbourne continue their hunger strike. 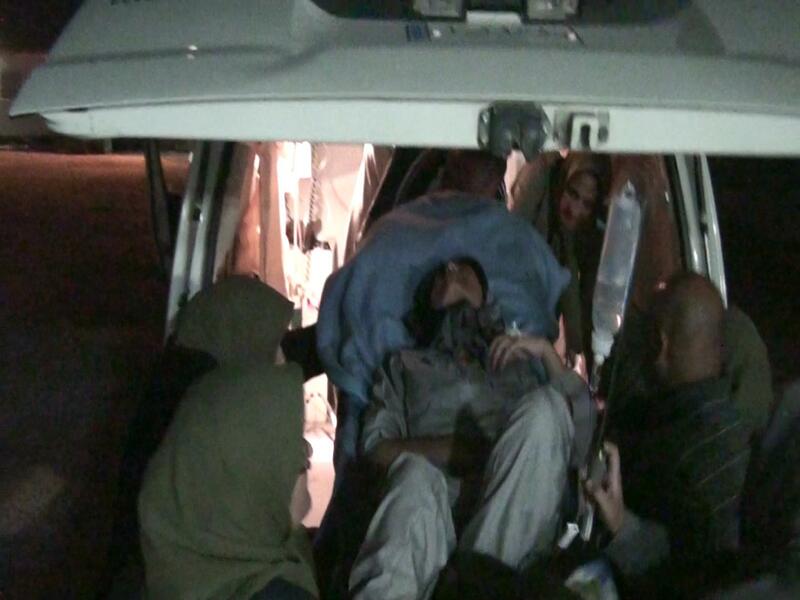 On Saturday night, the physical conditions of one of the female hunger strikers deteriorated and she was urgently transferred to a hospital in Baghdad. She had severe chest pain, was nearly unconscious with arrhythmia and was severely dehydrated. Release of the 7 Ashraf hostages is at the top of demands by hunger strikers, many of whom are family members or close relatives of the victims of the September 1 massacre or the hostages. The hostages are held by Maliki’s Special Forces in the “Dirty Army” in Baghdad airport, Sharaf prison, and other safe locations in the Green Zone linked to Maliki, and are at the risk of being extradited to the religious fascism ruling Iran. Next Next post: Asking Adolf Hitler to investigate “Holocaust”!! !